Febuary, 2012!!! Finally, SiTechExe version 0.90A is released! Go to the download page to read about it! The video has 60 frames, each frame was 5 seconds, with a 5 second download time, a total of 10 minutes. The frames were NOT aligned. We used the CalPoly 18" prototype telescope, with direct drive motors, controlled by the coming SiTech Brushless Servo Controller. Video was taken on January 11th, 2012. 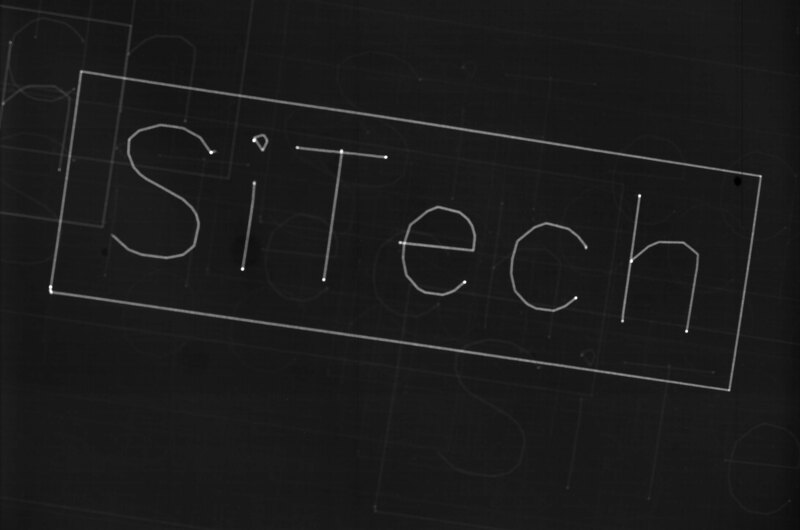 See our new users group homepage: www.sitechservo.info A SiTech community site by our users, for our users. Connect with other SiTech users and create your own user site to share your experiences or get help customizing your setup. See the latest astrophoto's from Pinto Valley Observatory using a 20 inch CDK telescope from Plane Wave Instruments. NEW!!! 2008!! PointXP Telescope Modeling software by Dave Rowe has been added to SiTechExe, the telescope control program by Dan Gray. Using PointXP, (Now built in to SiTechExe), you can improve your telescope pointing by a factor of up to 10! Tracking will be better as well, as it uses information from PointXP. Common reports are under 1 arc minute RMS pointing, the record so far being the 32 inch at Pine Mountain Observatory, which has 9 arc seconds RMS pointing error! Here's the pointing errors before PointXP correction: Notice the RMS is nearly 1 arc minute of error, and the peak is 2 arc minutes. Here's the pointing errors after PointXPTerms have been enabled: Now the RMS is only 9 arc seconds, and the peak is only 15 arc seconds! PointXP will also help you polar align your equatorial mount! SiTechExe also has many other cool features. Try writing your name with Starlight! Try using medium resolution Gurley Encoders and the new SiTechExe feature called Tick Managment to close the loop, eliminating all Periodic Error, Non-periodic error, and backlash errors. Try tracking a satellite! Click here for a movie made by Dan Gray, his 14", and a web cam, of a tumbling satellite. Track a comet while imaging it, using the offset tracking rates. Write a script to pan a nebula, for visual use. A veil tour script is included. 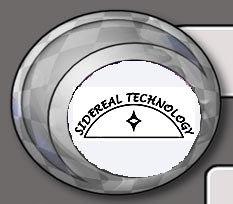 There are already over 200 installations of the Sidereal Technology Dual Servo Telescope Controller, so you can be confident you're getting a developed, easy to use system. 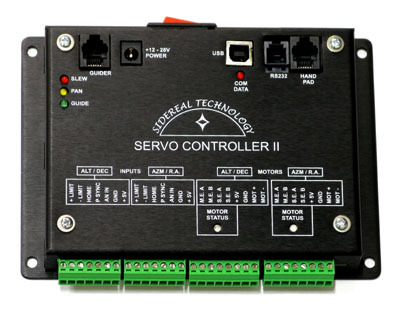 The Sidereal Technology Dual Servo Controller is economical, very small, and packed with many features. It connects to two servo motors with integral encoders, and to two telescope encoders. It will track and/or guide your telescope without any computer connected, or provide tracking, guiding, GoTo, etc. when connected to either a computer, an Argo Navis™, or a PDA (coming soon). The system is compatible with equatorial or alt/az mounts. 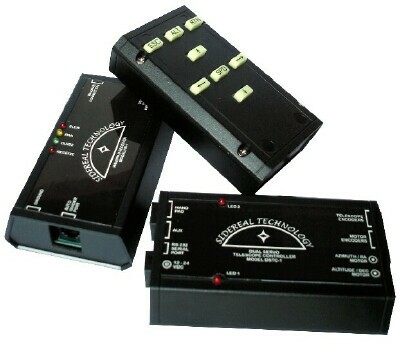 It is versatile and easy to install on scopes of all sizes. The optional wireless handpad and receiver connects to the Sidereal Technology Dual Servo Controller for wireless remote control of your telescope. The handpad transmitter has an astronomer's LED flashlight, and a specially designed glow in the dark keypad. You won't find such a variety of features with any other servo drive system. Click here for the old website!